I love this time of year! Snuggling up on the couch, drinking cocoa, and reading a good book by the lights of your Christmas tree? Yep. A perfect afternoon or evening, so I'm super excited to bring you Melissa Tagg's new novella One Enchanted Christmas and Becky Wade's The Proposal. Here's their short blurbs, and we'll chat on the other side! Both are such great reads that can fill one sitting. 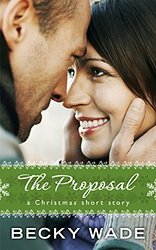 They're like the Hallmark Christmas Movies of books, and because these are two of my favorite authors and such great short reads--and it's Christmas!--I'm going to be giving a few copies away. 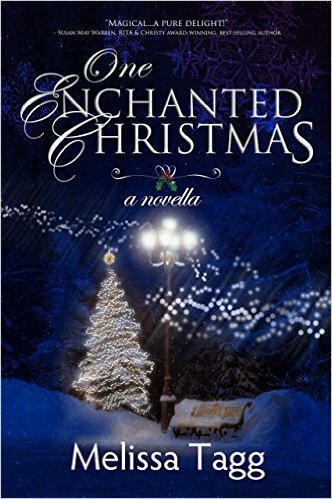 These are e-reads only, so you'll need a Kindle/Kindle app (or Nook for One Enchanted Christmas), but as long as you have them, you're eligible! So Merry Christmas, friends! Go ahead and leave a comment here or on this post on my Facebook page. I'm giving two lucky people a copy of both! I'll announce the winners on next Friday's Bookshelf. Thanks for sharing, Susan. Please add my name to the drawing. I've loved Melissa's other books, and I have my first Becky Wade book in my TBR pile. Just thought I would pop in and check out what was happening here. You are such a cheerleader for others. So sweet, and I 100% agree with your second sentence. That's where you will pretty much find me all of December...by the tree.